Customizing your WordPress theme used to be a job that only designers and developers could handle – today, I’m going to show you how to customize your WordPress theme and turn your regular blog home page into a magazine style home page. The steps are outlined to work with the default WordPress theme, Kubrick, but can easily be applied to any WordPress theme you may be running. This is the first thing you’ll need to do – make a copy of your index.php file in your theme folder and name it homepage.php This is the file we’ll be editing to create our customized magazine style home page. Once you’ve got the file created, you’re going to open it in a text editor (for PC users like myself, I use notepad++) and add the following code into the very top of the theme. 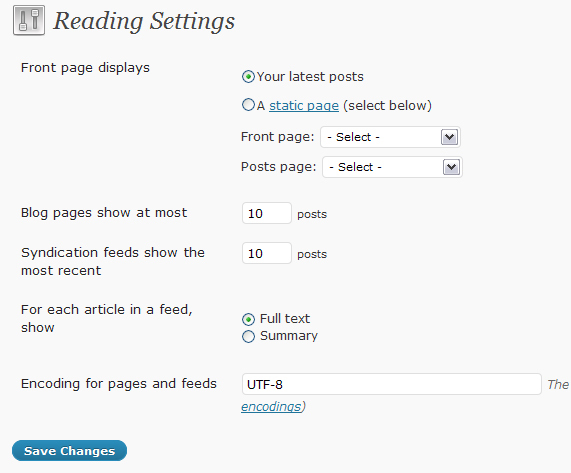 The code above tells wordpress that the file is a page template and allows you to select it from the drop down menu in the right side box in the wordpress admin panel when you’re writing a new post. 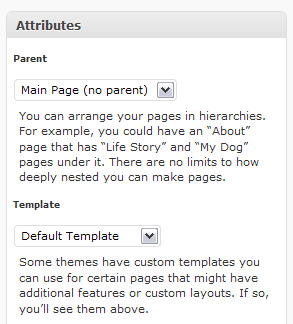 In the drop down menus, select your new Home Page for the home page display and save it. 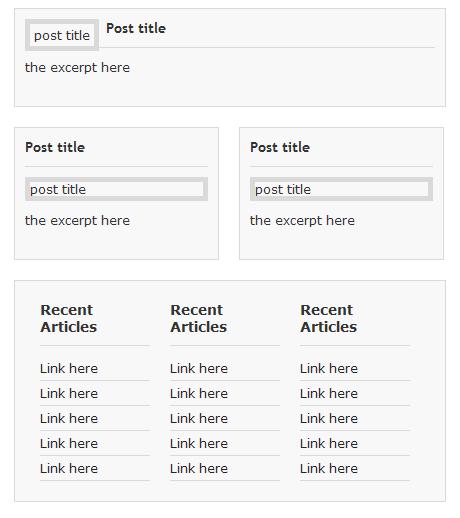 You can either leave the other drop down menu blank, or you can create another page and name it “blog” so you can select that page to show your blog posts in regular blog format (not necessary, but I just wanted to make sure you knew it was an option). Now your website’s home page should be showing your homepage.php file, but right now it looks exactly like your old home page, right? It’s ok, we’re going to take care of that. When you copied over the index.php file to your new homepage.php file, you’ve got a lot of codes that you don’t want to use (if you did, it’d just be the same view as the regular blog home page you have now). So lets look over the codes and strip away everything that we won’t need, just giving us the bare essentials, which I’ve displayed below. The above codes are going to get the header, sidebar and footer file from your theme like each page normally does, and it’s going to show your main content are as a completely blank canvas. This is what we want. We want the blank canvas so we can actually start putting together the codes that will turn it into a customized magazine style home page. Displaying content in a different way than you’re used to can be a fun way to channel your creativity – and if you don’t have any, it’s ok to look at magazines, newspapers and other websites to see how they’ve structured their content. What we’re going to want to do at this step is draw out some sketches on how we might want to display the content, not necessarily choosing what content to display in each designated area, but just setting up the guidelines on where we want specific boxes placed and how we might see them styled. Below, we’ll take the sketches we drew above and put some css codes together for them. The structure is basic and the backgrounds and borders are minimal, you can change the colors and styles of these later on if you’d like to. Finding the right width for the box is as simple as finding the original theme’s width for the content area and using it. In this case, the WordPress theme we’re editing (the default Kubrick theme) has a width of 450px. Make sure you’re using the proper width for your theme and ensure you’re testing the page after each step to see that the boxes are displaying properly and working like they’re supposed to. Note: You’ll notice that the .categorywrap is half of the width as the .featuredwrap – this is because we’re going to be allowing multiple category boxes show up, two in each row. Now that we’ve got the basic css codes ready to go, we’re going to put the html codes into the homepage.php file. So, now that we’ve got the basic structure down and it’s displaying properly (see image below), we can start working on putting in the codes that will display the articles/links for each section. At this stage, we’re going to take things one step at a time and get each box working properly, with the right php codes to pull in the posts as well as the proper html/css codes so everything will be styled properly. Each segment below will be listed with it’s own smaller title so you can follow along and make sure you’re getting all of your codes on the page done the right way. In this step, we’re going to put the html codes together to display the images, titles and excerpts from the posts into each segment of the html code we’ve already written in the homepage.php file. As you can see from the above codes, we’re going to be displaying the post title in an h3 tag, an image from the post and also an excerpt. Once we get into the php portion of the codes, you’ll see how we’ll control each of these elements. Now that we’ve got the basic structure of the codes put into each box, lets get them styled so that everything is lining up properly and the sizes of fonts are properly created. 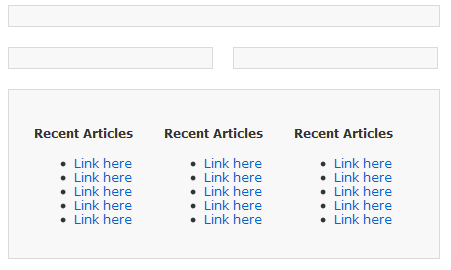 Now that we’ve got the structure complete for our content, lets start adding in the proper WordPress related codes to pull posts from the specific categories designated for each spot on the home page. Below is the codes as well as an explanation for what we’re actually doing. Looking at the above codes, you’ll see some php built into the codes. Some you may recognize and some you may not, so lets break down what each segment of the code does. The first three lines of the above code are getting the posts you want into a loop. For the featuredwrap div, we’re only in need of one post, so that is why it’s marked as 1 in the showposts= section. The category_name= is self explanatory as well, but one thing you might not have seen before is the $do_not_duplicate piece. Basically, this makes sure that the post id’s you’re calling will not be duplicated on the page if you were to ever use the regular straight forward wp query (this is good for if you’re wanting a featured post box on your home page as an ‘extra’ but want to keep the regular blog post formats there as well). The img codes are set up to work with the timthumb script, so we can auto resize the images there, even if they’re bigger than the allotted size. For this tutorial, I chose the size 200×200 so it’s perfectly square and also allows room next to it (on the right) for the post title and excerpt. The above codes will strip the […] automatically from your site any time the the_excerpt code is used, as well as change the length of the_excerpt from the default, to the new 30 words. For this section, we’re going to change the post count from 1 to 4, this way there are two rows of two posts under the featured wrap, all from the same category. Now, if you’re wanting to make each of the four boxes show a different category post, you’ll change the above codes to showposts=1, and copy/paste the codes four times (so there will be four .categorywrap divs in your html code, each sporting their own category_name). I hope you enjoyed the article and if you have any questions, feel free to leave a comment and I’ll do my best to answer them all. This entry was posted on Monday, November 29th, 2010 at 09:42 and is filed under Tutorials. You can follow any responses to this entry through the RSS 2.0 feed. You can leave a response, or trackback from your own site.